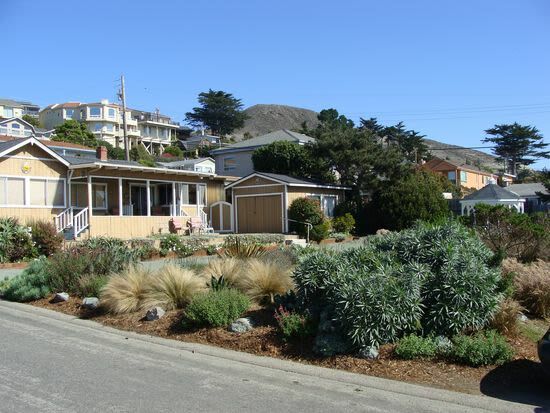 Cayucos vacation rental home only 2 blocks from beach. Main house includes 2 bedrooms (2 queen beds), one bath/shower, living room and kitchen. There are views to the ocean from the home's main bedroom, living room and kitchen. Also, included is a self sufficient Guest House with a full size bed, kitchenette, bath/shower, and a private patio. 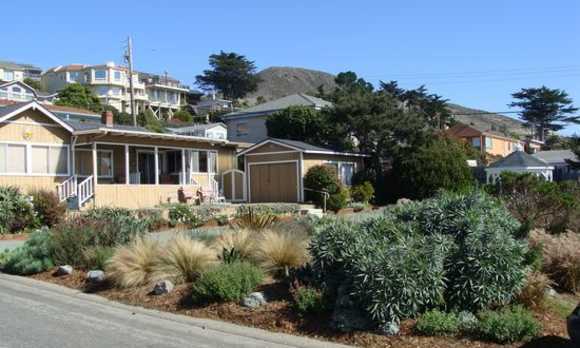 This home is centrally located for walks to town or to the beach. Fully furnished home. There is a large deck in front with ocean views. The home has a peaceful, natural rustic ambiance. There is a small enclosed patio in the back. BBQ. Additional Security Deposit and Cleaning Charges for Pet.